After this dud , I systematically avoided his future projects. I believe I allowed my friends to play that to me as curiosity for this Orwellian theme got to me quicker than my better judgment. Notice I have almost never given less than average ratings to Wakeman's works due to the actual execution/arrangement and production are good . It is the inspirational qualities I question here. If I had a pound for every time Rick Wakeman released an album (or every time they show Geoff Hurst's 1966 world cup goal on UK television), I'd be a very rich man. I have to say though, I think "1984" is close to being the best of the lot. Actually made prior to 1984 (in 1981), this is concept album, based on the George Orwell novel. Tim Rice (co-writer of many fine musicals) was drafted in to write the lyrics, and a great job he does too. Wakeman of course contributes the music score throughout. His keyboards, while ever present, are not nearly as dominant as they are on most of his albums, Indeed, he is joined by a veritable host of musicians, including a medium sized orchestra. The two part instrumental "Overture" includes many of the themes from the album and is the closest we come to typical Wakeman solo keyboard work. Even here, there is a band feel to the music. "War games" is the first of three tracks with vocals by soul singer Chaka Khan. These songs show off her vocal talents superbly, it really is astonishing how well her voice complements the prog based music composed by Wakeman. "Julia's song" is the best of the three, a wonderful ballad which she sings in a straight rock mode, how many prog bands could benefit from having such a powerful female vocal up front? Khan's voice is similar to Clare Torry's vocal on Pink Floyd's "Great Gig in the sky". Jon Anderson is the guest vocalist on "Hymn", and it's hard to think of a time, even with all his excellent work with Yes, when he sounded better. As the title implies, the track has religious overtones, suggesting that God should remain concealed in order to preserve faith in him. Anderson sounds truly sincere as he sings "I could not love someone just like me". "The room" rounds off side one of the LP with a choir backed Wakeman instrumental. Side two of the album is not as strong as the first side, but it does have its moments. Steve Harley ("Come up and see me, make me smile") provides the vocals on "No name", while in a fit of pure indulgence, non-singer Rice unwisely sings on "Proles". In all, a thoroughly enjoyable album, well put together, and superbly performed (Rice's vocal aside). Unfortunately, apparently for contractual reasons, the album has never been released on CD outside Japan. Well worth seeking out though. I wouldn't call myself a fan of Rick Wakeman. His first three albums were great. After that, there's still some excellent work released every now and then but on some albums he tries to capture new musical territories like new age or classical music. You have to like the quoted styles to appreciate Wakeman's approach to it. On other albums he still tries to maintain the progressive style but fails. So when I first played this record for the first time, I didn't know what to expect. 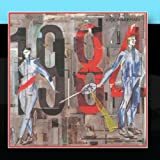 On 1984 you can hear a very strange mixture of keyboard based progressive rock and American pop of the early eighties. One thing is for sure ; in today's world this album is completely out of date. Is this album still enjoyable after all those years, that's the question. I believe it is. At least.most of it. Though the sounds of the keyboards are completely outdated, these are still the most interesting musical part of the album which comes as no surprise cause Wakeman's keyboards are known as an essential part of the sound of Yes. And now for the tracks. The instrumental "ouverture" sounds great. You 'll find a number of majestic sounding excerpts succeeding each other rapidly. The atmosphere is comparable to the opening theme of "King Arthur and." not in the least because of the use of a choir and orchestra. If you didn't know the keyboards could easily be handled by 100 men instead of one Wakeman. This excellent opening track sets the stage for 1984 and soon your expectations are growing. On "War games" a very odd combination of the voice of Chaka Khan and progressive instruments works really well, her voice adds a bit of soul to the progressive music which the music often describes as being cold and emotionless. A good track with some excellent keyboards. But not all the vocal tracks are that good. Like on other progressive efforts Wakeman should have included more instrumental music instead of vocal tracks. The ballad "Julia" does remind me on the music of Andrew Loyd Webber and I don't mean that in the positive way. This cheesy track can't hold my attention for very long. It isn't exactly Khan's best vocal performance either. It's no surprise that Jon Anderson is the vocalist on "Hymn", this kind of religious stuff suits him perfectly. It does remind me to his Christmas album "Three ships", but this "hymn" has a higher quality level thanks to the excellent keyboard parts on the behalf of Wakeman. On this short song it does sound a lot more exciting. Although you would suspect this track for being too much Yes, knowing those guys were ex members who quit Yes in 1979 at the same time, It still sounds very typical Wakeman. On the next track "The room" Wakeman shows what he does the best. : flashy keyboards, great moodswings and background voices that add a special atmosphere to it. On "Robot man" the Motown and funky bass lines are dominating the progressive pretty much. Even though the melodies on this song are excellent, it may be too swinging for listeners to this kind of music. Maybe this is personal but I recall the title track of a televsion show called Fame by hearing this song. The next track "Sorry" is a wonderful instrumental track which is based on a great piano melody. Again, this could have ended up on one of Wakeman's classic albums. The characteristic vocals of Steve Harley gives the excellent "No name" something extra. The Cockney rebel front man sings his heart out and it works. The opening tones may sound poppy, cheap and childish, later on an emotional Harley leads the band to a big symphonic ending. "Forgotten memories" is another short instrumental break which isn't bad at all but isn't too memorable as well. Nice piano work anyway. If you ever wondered what it would be like to have Mick Jagger to sing on a Wakeman album "Proles" gives you an idea, although it isn't Jagger but a vocalist with a similar sounding voice. This rock'n roll track which includes also the sound of a sax, could easily be included as part of a musical. Maybe Wakeman had the intention to transform this in a stage production on Broadway at the time, I don't know..the thing I do know that 1984 is a conceptual album based on the tale of George Orwell. Even though you'll find some very different pieces of music on this record, there's enough threads to tie this thing together as a solid unit. Last track is the title track of the album. Here you find reprises of the best melodies of the album stringed together by some complex rhythm breaks and interesting mood changes. The combination of an orchestra and keyboards sounds quite good again, no wonder this has become Wakeman's trademark over the years. You'll also notice lots of instruments featured in the orchestra like a French horn, violins, oboe and much more. This project must have lead the artist close to bankruptcy but form a listeners point of view it's a delight. This big sounding finale is the excellent climax of 1984. Unfortunately this album has a bad production There's too much high tones and the sound of the rhythm section isn't coming through on all of the tracks. But let's not forget this album appeared 24 years ago. Also I don't think this weak spot is a big issue. 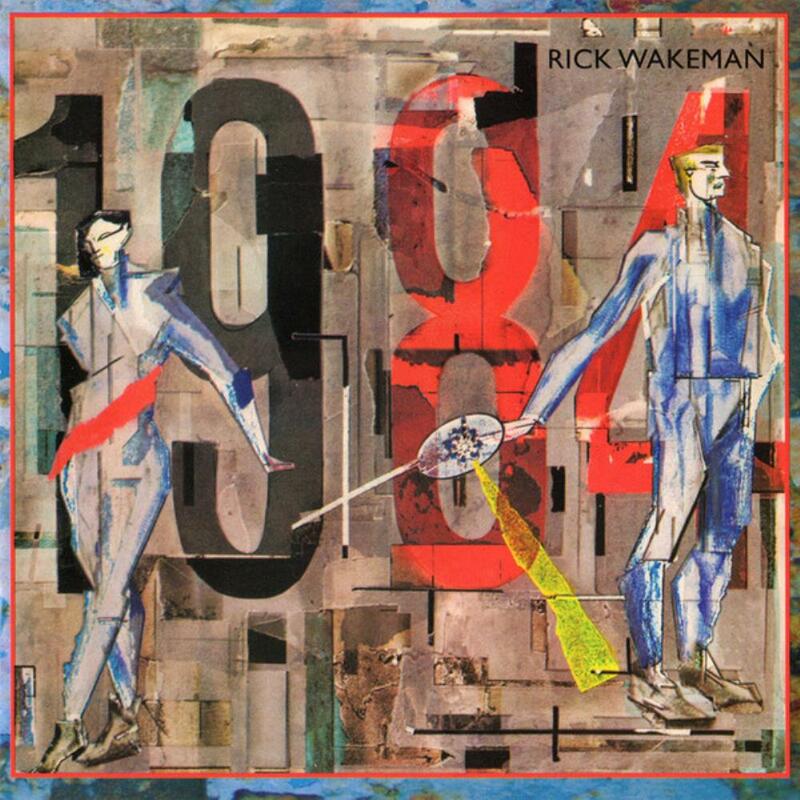 Overall 1984 is an interesting but remarkable album in the back catalogue of Rick Wakeman. I wouldn't recommended as a successor to his masterpieces of the seventies, but it comes damn close. This albums holds many differences in musical style. Some tracks are typical Wakeman while on others he clearly tries to adapt his sound with influences from the beginning of the eighties, the era the record was released. Most efforts to actualise his sound are sounding surprisingly good and are still enjoyable today Too bad, this album is out of print today though there is a CD which has 1984 and Lisztomania in one package. As the title implies, it is based on the novel 1984, but the music may fool you, since it is not as dark as what you would expect from it (except on 'the room' ). I think the concept fails because it does not capture the mood of 1984. It is way too happy and 80s sounding. The Overture might be his best song from all his 80s albums. It is a very solid progressive rock epic of 3 different sections. It uses female backing vocalists, a small orchestra, and a band, making himself less dominating of the music this time. His keyboard work, while more restrained, is impressive, and the balance between Wakeman and the band is something that was lacking on his previous works. All the other tracks differ from hard rock, to fun pop/disco, to ballads (Jon anderson joins in one (the hymn)). Some irritate me (a woman screaming 1984 every 5 seconds especially) which prevents me from calling this album 'excellent addition to any prog music collection'. I read George Orwell's "Nineteen Eighty Four" long before I bought a cassette version of this album -- one of my favorite classic book, actually. You may easily guess that I already had certain imagination and even interpretation of how things were described in the book. So, it was kind of natural to me, after my first listening to this album, that I tried to examine whether the music fit with the whole plot of the book, with its nuance, or whether I could relate each of the songs with any particular scene. And this was my finding: not only Wakeman masterfully crafted another well-rounded album, this time telling a well-known tale about a nightmarish dystopia while at same time successfully avoiding any risk, but he also made it almost irreplaceable. I got the CD version a couple years ago and it was instantly made me even more impressed with how Wakeman put together every single element (be it an idea or a note or an instrument) and finally cut a sonic rich record. This is an example of what Wakeman did: to create futuristic sound, Wakeman incorporated a handful instruments, played by orchestral musicians; he infused French horns, piccolos, tubas, trombones, flutes and violins into his mastery of the keyboards. Overall, the music is partly dark and partly bright, following the despair and hopelessness and warmth and promise depicted in the book. One can capture any of these nuances from songs like "The Proles", "Robot Man", "The Room" and "Julia" (how fascinating Chaka Khan is). Good thing is Wakeman's keyboards do not dominate the whole tracks. Rather they serve as a kind of "voorrijder", leading just the way effectively in most of the tracks, and only take over gracefully in songs like "The Room" and "1984". This album deserves to be in the same place with other Wakeman's previous excellent efforts. The female singer Chaka Khan is nearly irreproachable, but I do not think her disco style gracefully merges with the Wakeman's style here: she makes some parts of this album too pop for the circumstance. I find that the modern keyboards sound too artificial: it seems odd, coming from a classically trained musician like Rick Wakeman. The electric guitar riffs are absolutely awful. Fortunately, there are many good complex keyboards parts, having a bit the style of the Rhapsodies album. Wakeman still uses here some vintage keyboards like organ and moog. Some bits are really made of relaxing & moving floating keyboards. Obviously, the album is torn between a pop dimension and a more serious, progressive & elaborated one. The presence of the surprising punk song "Proles" just simply confirms how unequal this album is. As the world now moves into simplicity, I had a project to transfer all of my prog CDs into MP3 format so that I can carry the music easily wherever I go and I can be consistent with the spirit of "Keep on proggin' ...!". It's not an easy job actually with approximately 2000 CDs at my shelf. But I have to keep it going anyway, before it's too late. Surprisingly I found some CDs which I have never reviewed in progarchives including some albums of Cast (Mexico), Camel, and Rick Wakeman. How can I forget the phenomenal album like '1984'? When it was released in 1981 I was so curious on what Mr Wakeman would say about the year 1984. By that time actually I was not aware that this album was inspired by the work of George Orwell. Sorry .. I was too busy with prog music developments so that I did not pay enough attention on novel. The first record that I listened to this album was in the format of cassette. I was really amazed with Wakeman's bold ideas hiring Chaka Khan from R & B fame in this seminal work. The first time I hooked to this album was when I heard the opening track 'Overture' which really blew me away at first listen. At first, I was not quite impressed with the opening orchestra. But when the music enters especially the transition piece to the third movement 'War Games' of this overture. WOW! What a great combination of powerful female vocal and symphonic music. Fabulous! And .. too my knowledge, this is the first time I heard that an overture has a long duration (10 minutes) before the other tracks come up. Brilliant idea! The beauty of this album lies in brilliant ideas on combining nice melody with orchestra and talented singers like Chaka Khan and Jon ANderson. All songs in this album have excellent melodies. Combined with excellent arrangements it then creates music with excellent harmonies. Not only that, the frequent changes of style are all performed with smooth transition allowing Mr Wakeman's melodi keyboard solo. Even though this album does not seem so complex but it still has a good degree of progressive elements. In fact in 'Robot Man' you can hear how Wakeman has creatively created a great composition where he explores the R&B music - taking advantage of Chaka Khan area of expertise - while maintaining inventive keyboard work. I highly recommend you to have this phenomenal album. It's not in the vein of 'Six Wives' or 'Journey' or 'King Arthur' but it sets the new standard of Wakeman's music. AS for my case, I have been replaying this album more than five times and I don't feel getting bored with it. It's so interesting. In this album Rick collaborate with lyricist Time Rice who used to work with Andrew Lloyd Weber. Keep on proggin' ..! 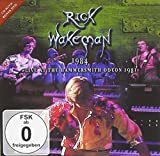 I took me a while to take a step into Rick Wakeman's discography of the '80s and so I completely unnecessarily suffered though Rhapsodies, White Rock and even Lisztomania before purchasing this 1981-release. It would have been even better to have it released the same year as the story it depicts, especially since it was only three years left to the occasion, but at least we have an excellent movie starring John Hurt to thank for that! Let me begin by saying that this album definitely sound like an 80's release. What else to say but the fact that the '80s had a very bad effect on most of the greats progressive artists. Everything from instrumental performances to vocals sound dated beyond belief and had it not been for a few glimpses of sheer brilliance this album would have been completely forgettable. The only track that really works from start to finish and therefore worth mentioning is The Hymn featuring the great Jon Anderson on vocals. This performance makes me wish that Anderson had done the vocals even for the rest of this album since changing a vocalist for every new track doesn't make the album flow too well. 1984 isn't really a concept album. Yes, the story is here but basically feels more like a collection of performances on the overall theme and never like a well developed concept album. At the time I remember I could not bear the thought of Wakeman hiring a R&B singer like Chaka Khan for most of the vocals. 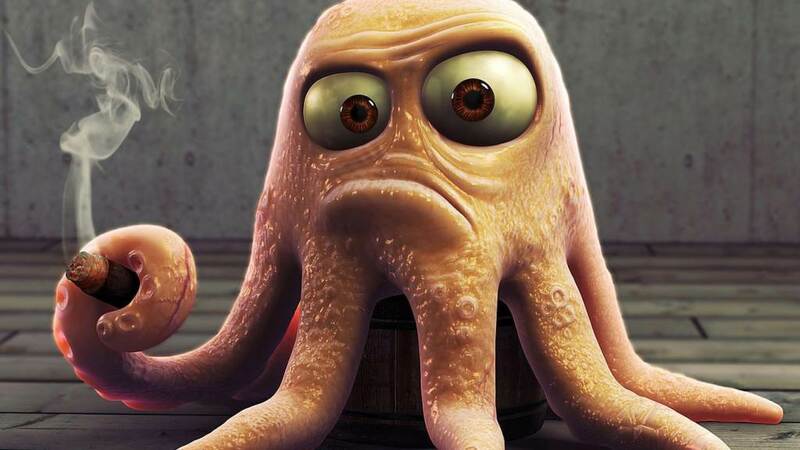 It seemed totally odd and a bad move. But now I see I was wrong since she gives a tremendous performance on the tracks she appears. And contrary to some reviewer here I did not find anything too 80´s at all. All his keyboards are very 70´s sounding (and so is the rest of the instrumentation on 1984). In fact, some synthesizer timbres even reminded me of Jon Anderson´s first album (Vangelis influences, maybe?). Production is also very good. The use of an orchestra and choir on some parts of the album is excellent. It was also a quite bold thing for the time: nobody were doing that, just those plastic synths and electronic drums. Fortunately he does not use any of that crap. It is ok to see this album as a lesser one when you think of such triumphs that were The Six Wives Of Henry VIII, Journey... and King Arthur. And yet he did put out some great music here. Except for a couple of bad tracks, the rest is very fine and I regret I did not pay any attention to 1984 when it came out. 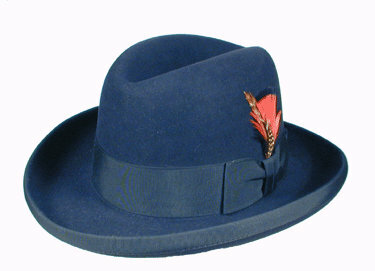 I´m making up for that now. Another of my Wakeman's vinyls, I still remember the moment I bought it and the first listen at home. By coincidence my current house is exactly in front of that records shop. I put it on in the late evening, wearing headphones and the prologue which includes more or less all the musical themes which will come later, like an opera's ouverture, was actually a very big surprise: so rock and uptime, with Jon Anderson quite screaming instead of using the sweeter timbre he was used to show with YES. I also remember to have been a little surprised reading the name of Chaka Khan in the vocalists as she was actually a disco dance star. Another surprising name who will later appear on other Wakeman's albums is the lyricist Tim Rice, author with Andrew Lloyd Webber of one of the greatest rock operas of all times: Jesus Christ Superstar. "Julia", which in Orwell's concept should introduce the main character is a mellow song with a trivial melody only partially saved by the touch of Rick at the piano and by Jon's vocals, now back to more usual notes respect to the ouverture. "The Hymn" is nicer. Short and very in line with the concept with Jon in a good shape. After the proper hymn, the music is vaguely reminding of "Journey to the Centre of Earth" then returns to Jon's vocals for the conclusion. "The Room" is the first totally instrumental track. This is rock side of Wakeman. He was already off of YES, but this track in some parts sounds similar to Going For The One. This track has similarities with the ouverture as it's made of very different parts, only it's shorter. "Robot Man" is the last rock effort of Jon Anderson and the last rocking song of the album. It closes the "A" side and the "B" side is less exciting. 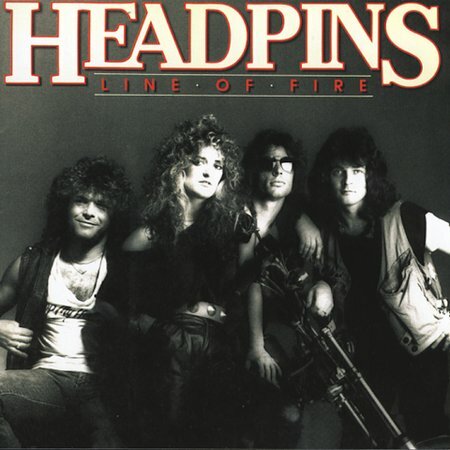 Effectively, relistening to it today, it's a radio-friendly 80s song featuring vocoder and on which Jon sounds like a metal clean vocalist but reaching very high notes. The album notes say that the singer is some Kenny Lynch, but I can't believe that somebody can sing the same high pitches other than Squire. The B side is opened by a piano driven instrumental of the kind of Myths and Legends. Not bad, but I don't think it fits well in the concept. 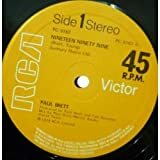 "No Name" is sung by another singer, some Steve Hurley who has a very particular voice which adds something to this averagely good song. I don't like much "Forgotten Memories". An instrumental which doesn't add much to the album and seems totally outplaced respect to the dramatic concept. This music doesn't seem to have anything to do with the story, even though is surely not bad on its own. The closer and title track is like the end-titles of a movie. The story is already ended and this melodic track reprises some of the principal musical themes of the album. Also this, taen on its own is good, but at this point of the album is a bit unnecessary. I have liked this album when it was released, but today it shows its age. When I went to see Wakeman few years after, I think it was in 1985, he didn't play any song from this album. He played the whole Journey To The Centre Of The Earth, instead, and I wasn't unhappy. 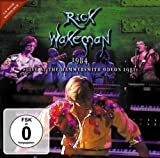 Post a review of RICK WAKEMAN "1984"